The average increase was only 2.4%, a historically low rate, according to Mercer data. The rate of growth in employers’ medical costs averaged just 2.4% in 2016, according to Mercer. That was the second-lowest figure since 1997 in the consulting firm’s annual National Survey of Employer-Sponsored Plans, which this year included 2,544 participants. 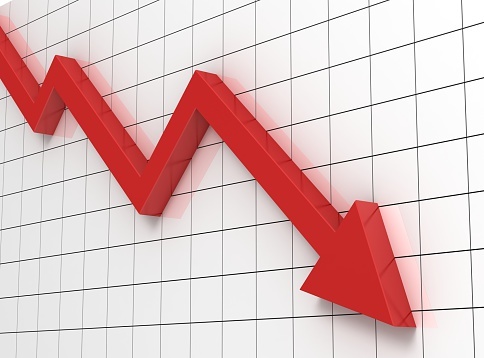 The result continued a long period of declining growth rates. After peaking at 14.7% in 2002, the rate has dipped most years since. The 2015 figure was 3.8%. Mercer attributed much of the improvement to continued increasing enrollment in consumer-directed health plans (CDHPs), which this year accounted for 29% of all covered workers, up from 25% last year. CDHPs generally are accompanied by higher deductibles for employees, which encourage them to shop more carefully for health-care services. Among large employers (at least 500 employees), coverage in a CDHP that is eligible for a health savings plan (HSP) cost 22% less, on average, than coverage in a traditional PPO plan. Among “jumbo” employers (20,000 or more employees), 80% offered a CDHP this year, and enrollment jumped from 29% to 40% of covered employees. Despite the lower cost of a CDHP, most employers continue to offer it as a choice rather than as the only available plan. Among large employers (those with at least 500 employees), 61% offered a CDHP in 2016, but for only 9% was it the only option. At the same time, Mercer notes, employers have been taking steps to mitigate employees’ growing financial risk by making available telemedicine and other less-expensive kinds of care. Meanwhile, despite the mere 2.4% growth rate for health costs this year, survey respondents forecast that the rate will tick back up to 4.1% in 2017. Actual costs may not go that high, as employers have tended in recent years to over-estimate the amount they will spend in the following year, according to Beth Umland, Mercer’s director for employer research for health and benefits. The expectation for 2017 may reflect the two-year delay until Jan. 1, 2020, for the effective date of the Affordable Care Act’s excise tax on high-cost plans. The delay was signed into law by President Obama last December, but it, and the tax itself, may prove to be moot now that many expect Donald Trump and the 115th Congress to act quickly to repeal the excise tax.